Marc H. Engebretson, 57, passed away Friday, July 27 at the Parkview Hospital Hospice Randallia in Fort Wayne, Ind., from extensive decline of his health resulting in kidney and respiratory failure. He was born Aug. 22, 1960 in Monroe, Wis. to Frank H. Jr. and Rose Anne (Pryce) Engebretson. He married Mary Schleifer on Jan. 29, 1983 and later on Sept. 21, 1993 to Laura Wilson. Marc graduated from Brodhead High School in 1978. He briefly served in the Air Force where he completed basic training. Marc enjoyed visiting with anyone, fishing, bowling, playing cards, watching WWE Wrestling, listening to rock music and lifelong friendship with Joel Grabow. Marc worked at General Motors in Janesville, Wis. and Fort Wayne, Ind. Survivors are siblings Mary (Engebretson) Hunzeker of Magna UT, Matt Engebretson of Monroe, Wis. and a son Brad Engebretson of Verona, Wis. Marc was preceded in death by his parents. Celebration of his life is from 5 to 7 p.m. on Wednesday, Sept. 12 at the Church of Latter Day Saints, Monroe, Wis. Burial is a private family affair the following day in Greenwood Cemetery, Brodhead, Wis. The D.L. 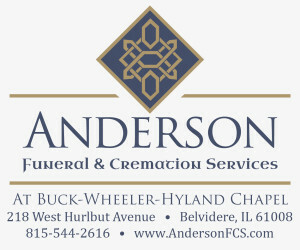 Newcomer Funeral Home in Brodhead, WI, is assisting the family. Online condolences may be made at www.dlnewcomerfuneralhome.com.